casual yet chic | stesha rose. 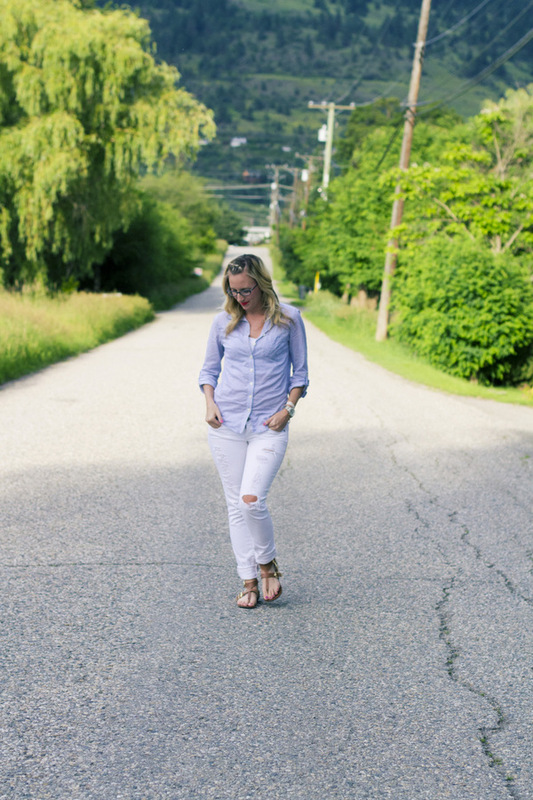 Classic white jeans and a light button up is the perfect early summer outfit. For those stormy days (unfortunately not in Arizona or any other place over 110 degrees) but for those of us lucky enough to avoid that heat we are also the people who experience nights where it can be a little chilly. White jeans, floral pants, or palazzo's all scream summer because of their bright casual fun look. 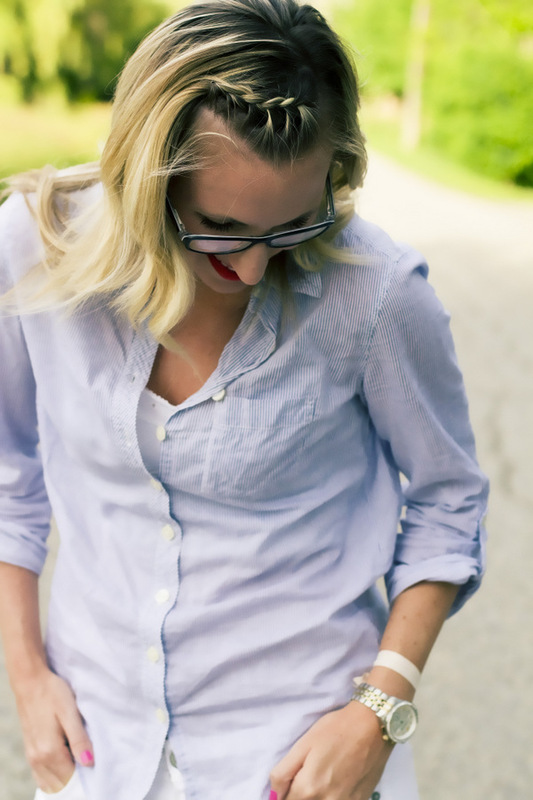 The button down shirt is a staple item in my summer wardrobe whether I am at the lake, running around town, or chilly at night I throw it on over my b suit, crop tops, or under a sweater. I try to dress a little causal yet chic when running errands around town (you know in case I run into someone special) so I pair my outfit with these LULUS.COM sandals. They are a little dressier that regular old flip flops but not trying too hard like wedges. I love these because of their zipper on the back so you don't actually have to fuss with the buckles. On a side note, I am looking for a hot pink or neon pink nail polish! Anyone have any ideas of brands or where I could get such a color? Thanks dolls! Loving your jeans! Perfect summer outfit. Love this. So simple yet chic! these pics are gorgeous! your makeup looks flawless! love it! so cute! love the braid! I love the outfit, it is a classic! And that pop of color with your orange lipstick-- perfect! Thanks for sharing!! In LOVE with those shoes!! OMG they're gorgeous! 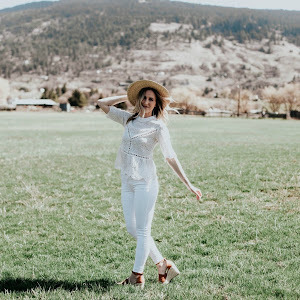 i'm also in love with white jeans! you look great here, love your little braid! Great outfit Stesha. Loving the hair and the red lips. I love this outfit, definitely a favorite! Boo! Those sandals don't come in my size. That's a cute look. Screams summer! I feel like the Sinful nail polish brand may have hot pink. You can find it at Walgreens and Target. You are rocking that lipstick! Love it! you achieve casual yet chic very well! yup my friend is one gorgeous lady!! stunning photos! love you! Loving your red lip, so pretty!